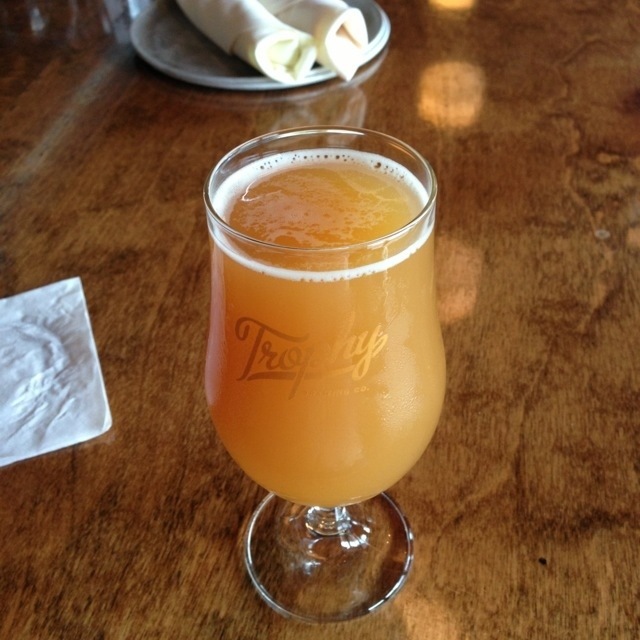 Trophy Brewing Company entered the Raleigh beer scene earlier this year. The three-barrel nano brewery is located in downtown Raleigh at 827 W. Morgan St. featuring a full bar and growlers to go. The guys behind Busy Bee Cafe, Chris Powers and David "Woody" Lockwood, opened Trophy Brewing Company to fulfill their dream of having their own brewery. 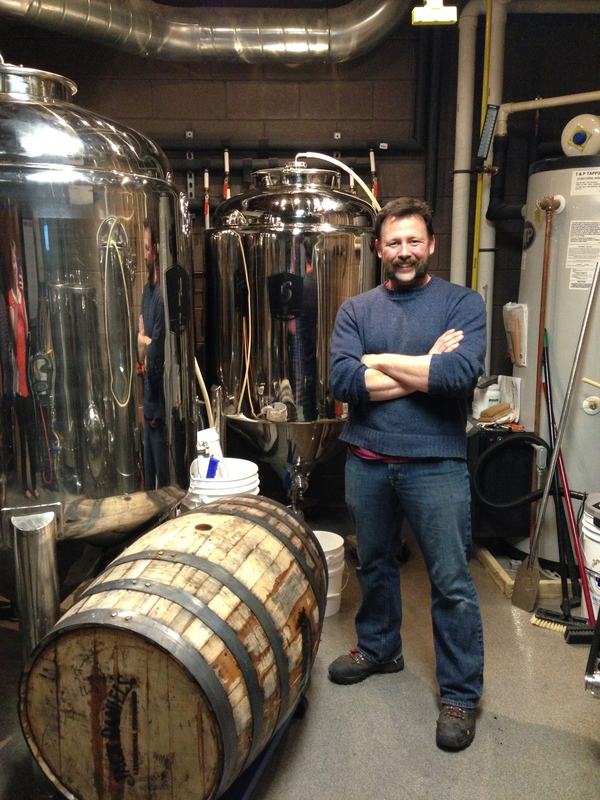 Les Stewart (pictured below) is the head brewer along with Josh Wing, assistant brewer. Both men have a great passion for crafting unique beer. This summer, Trophy Brewing Company recently became a full service restaurant featuring brick oven pizza and fresh salads. What more could I want in life? Pizza and beer, two of my favorite things. I decided to wait a few weeks to visit Trophy Brewing Company and try out their new pizza. The brewery is definitely a hot spot for visitors and locals wanting a taste of Raleigh&apos;s growing craft beer scene. I joined two friends, Hillary and Elliot, for dinner this week at Trophy Brewing Company. We started our evening off by ordering a few beers. Hillary enjoyed the Best in Show, one of my favorites by Trophy Brewing. 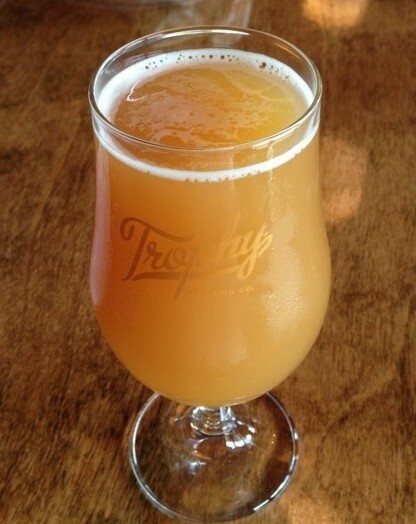 This American saison has a sweet malt base with grassy undertones and a citrus aroma. Elliot and I tried the Yellow Belt, a sorachi ace hopped wheat beer. This easy drinking beer was exactly what I needed to end a hot July day. I almost forgot to mention, I had two. Trophy Brewing Company has a large chalkboard inside the brewery listing the current brick oven specialty pizzas. "The Daredevil" pizza was calling my name. If you follow me on Twitter and read my blog, you know I love spicy food. "The Daredevil" includes ghost chili pepper salami, fire roasted tomato sauce, a mozzarella blend, fresh jalapeños, caramelized onions and sriracha sauce. To be fair to my friends dining with me, we ordered half of the pizza without the fresh jalapeños. Although I prefer tears rolling down my face from the amount of heat in foods, apparently not everyone feels the same. If it&apos;s possible to be in love with a pizza, I think I found my perfect match. I could have used a few more jalapenos, however, I thought the pizza was definitely daring and it did cause my nose to run. For those of you who aren&apos;t into spicy foods, don&apos;t fret. 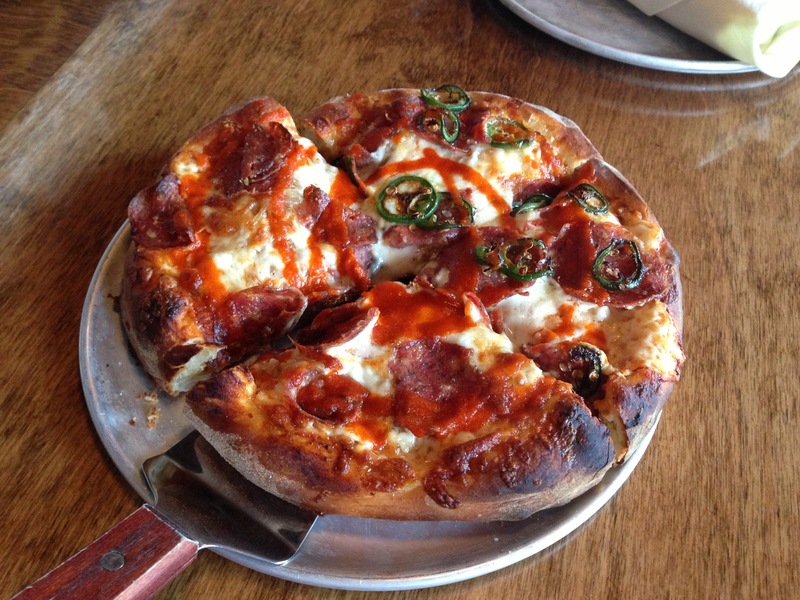 Trophy Brewing Company has a wide variety of specialty pizzas and you can even create your own. The "Most Outgoing" pizza is a delicious, fresh option. 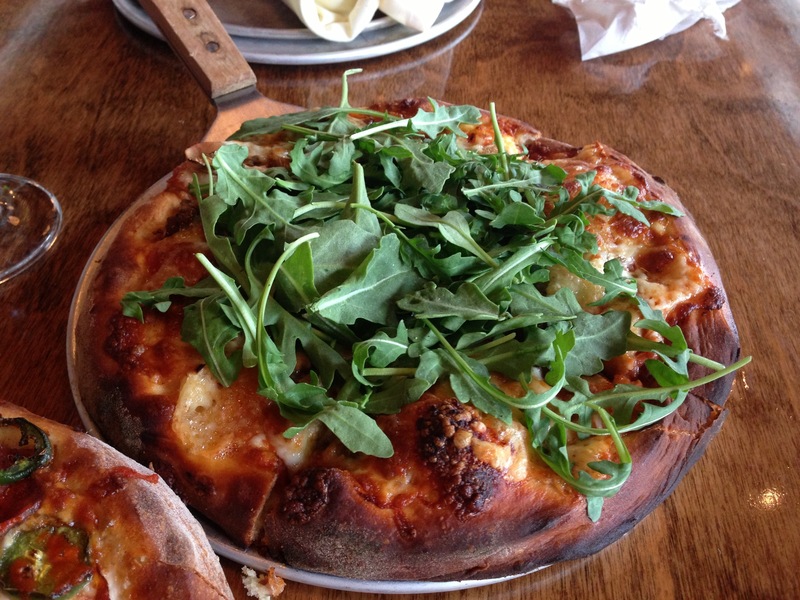 The pizza is topped with local mushrooms, caramelized onions, fresh arugula, brie, a mozzarella blend and tomato sauce. Trophy Brewing Company&apos;s outdoor patio is also open, which is perfect for those warm summer nights. 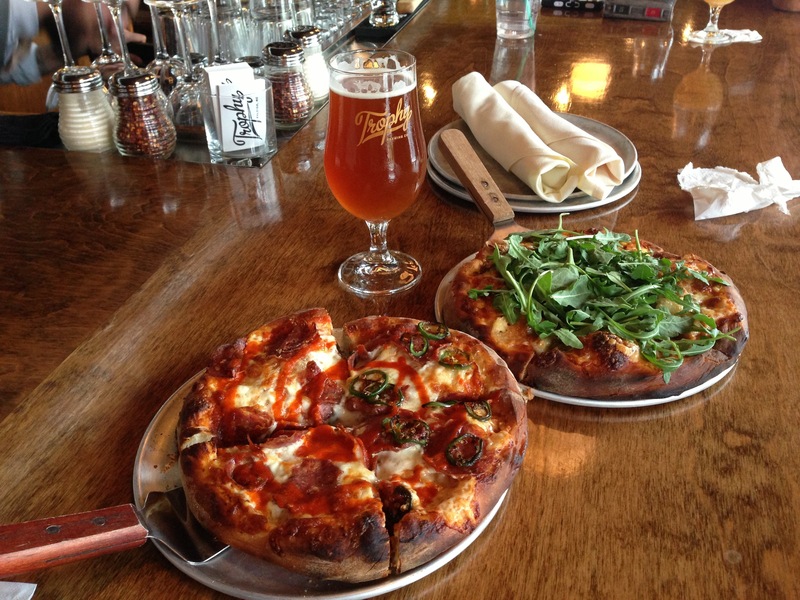 Head on over to the brewery to enjoy fresh pizza and a few local brews. Written by local Foodie, Kristen. Follow her foodie adventures on Twitter!